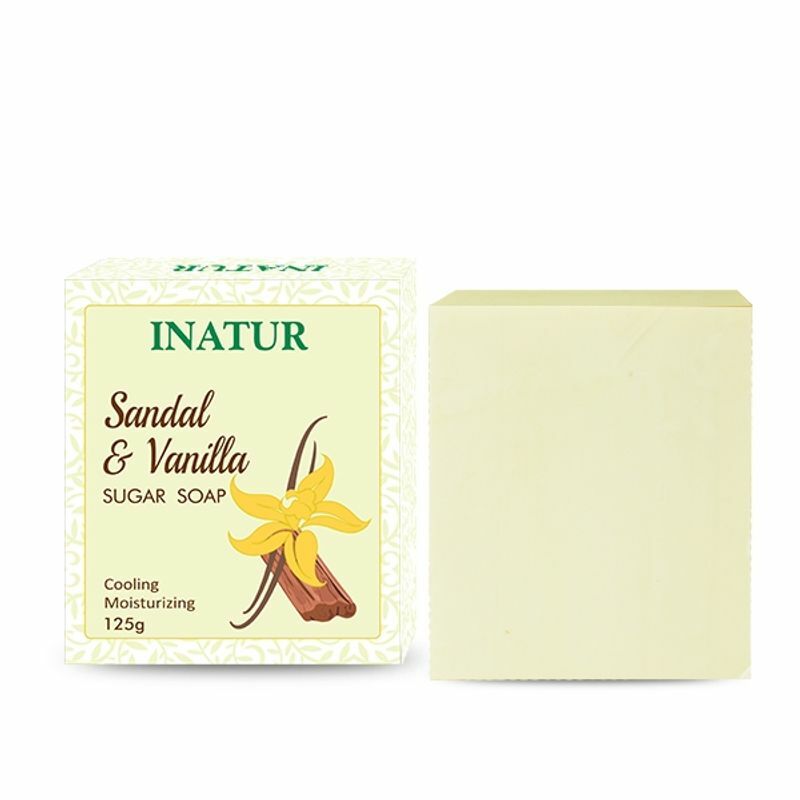 Inatur Herbals Sandal & Vanilla bar a is cooling and moisturizing soap. This Sandal and Vanilla Soap has a soft ,rich, sweet woody notes. It has anti bacterial, regenerative and calming effect on skin. It is a handmade soap and are prepared in a traditional manner. Sugar and Glycerin are added as a base that help to retain and replenish the moisture in skin. Essential Oil Notes are especially recommended for men.